In the United States, many people are familiar with heat maps from viewing television news programs. During a presidential election, for instance, a geographic heat map with the colors red and blue will quickly inform the viewer which states each candidate has won. 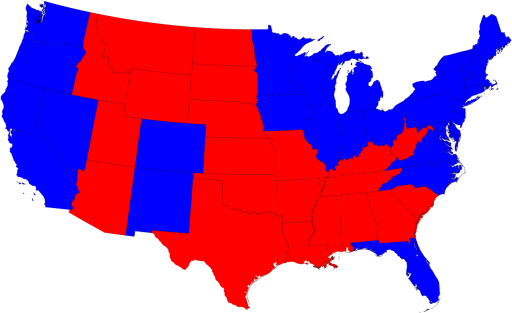 In this election heat map, the red states are Republican and the blue states are Democrat.